Hi everyone, this is Liz from People Partners (formerly HR)! I’m in charge of global talent acquisition. Mercari is actively holding overseas recruiting events. We also work to create support systems for things like language learning and housing so new graduates can hit the ground running and put forth their best work from day one. 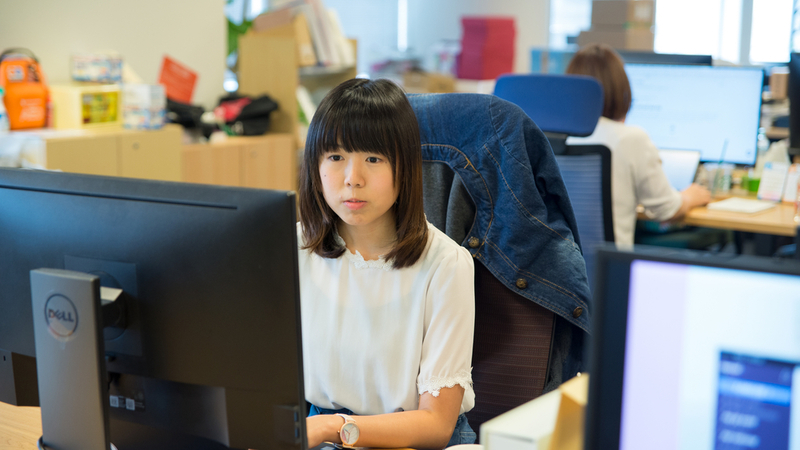 Both Japanese and English are used in the office, so we don’t consider Japanese language skills a requirement in the hiring process. However, outside of the office, most daily communication in Japan is in Japanese, so we know those without language skills may have trouble adjusting. Even global hires who do speak some Japanese still take time to get used to living and working in a new country. To help our new employees get settled in as soon as possible, we’re working on a number of support systems. One of these is our Japanese language learning support system, which we started in June. Today I’ll be explaining how it works! I’m in charge of global talent acquisition at Mercari now, but four years ago, I actually came to Japan from Hong Kong as a fresh graduate myself. I know how hard it is to work in a different country. The idea of hiring “global talent” from overseas is popping up all over Japan, but honestly, Japan is a really tough environment to live in if you can only communicate in English. When I came to Japan, I took Japanese lessons at the company where I was working. Thanks to those lessons, I learned conversational Japanese. But lessons like these tend to have finicky requirements like “must have worked for X years or more” and don’t offer very many choices. They aren’t directly related to your job, either, so it’s hard to stay motivated. Personally, if I’m going to do something, I want to do it well, and make sure there will be noticeable results. I also want to find ways to reduce the difficulties new employees coming from overseas face in their daily lives to help them reach their full potential and work in accordance with Mercari’s values—Go Bold, Be Professional, and All for One. That’s why I wanted to create a better Japanese language learning support system. Mercari’s language learning support system for fresh graduate new comers is optional—we don’t force anyone into taking classes. We know that if you’re not interested in learning, you won’t have the motivation to study, and you won’t achieve any results either. In addition to letting each new employee choose whether they want to participate or not, we also let everyone choose their own learning plan and style. Whether you’re a total beginner starting from scratch or an experienced learner looking to brush up on your skills, we provide support from the time you receive your offer to the day you join the company. It’s also a good opportunity for new employees to think about how they want to prepare for their first day in the office. The process of applying for language learning support is extremely simple. 1) Create your own Japanese learning plan and tell us. 2) If Mercari approves, we’ll sponsor the full cost. 3) Every two weeks, share a progress report with us in the to-be-Merookies-channel on Slack. That’s it! Everyone has different learning styles. That’s why we allow new employees to make their own choices, like deciding to learn online or offline, to learn alone or attending classes, and to find the plan that best meets their needs. When applying, we ask for five things: the estimated cost, the reason you chose your learning plan, how you plan to reach your goals, your two-week goals, and your final goal. We don’t set any upper limit for how much we’re willing to cover; if we approve your plan, we’ll cover all costs. Once your plan is approved, we ask that you share a progress report with us every two weeks. These reports are posted on Slack, so you’ll be sharing your progress with other future Mercari members as well. We noticed that by keeping up with each other’s progress, to-be-Merookies were able to connect with each other and feel a sense of community before they joined. As the weeks go by, reports become more and more detailed. This October, new graduates from the UK, Belgium, Hong Kong, the US, China, Taiwan, Singapore, Canada, India, and other countries will be joining Mercari. We asked a few of the new employees participating in the language learning support system for their thoughts. Toby Liu: It does not restrict the means we learn Japanese, which empowers us to adopt the most suitable medium to engage in language learning. We are able to allocate resources from the scheme to concentrate on our disadvantages based on our previous capabilities. Bruce Liang: I found it quite amazing that the company was willing to give me full support for my Japanese learning, because I was actually going to take the classes on my own before Mercari reached out and offered to help pay for the classes. Along with that, the Mercari's wonderful People Partners team was willing to help connect me with a recommended online school so I didn't need to spend much time searching for one at all. Every part of the process was very clear and easy to set myself up for my learning. Mercari recruits global members from around the world, regardless of nationality or background. 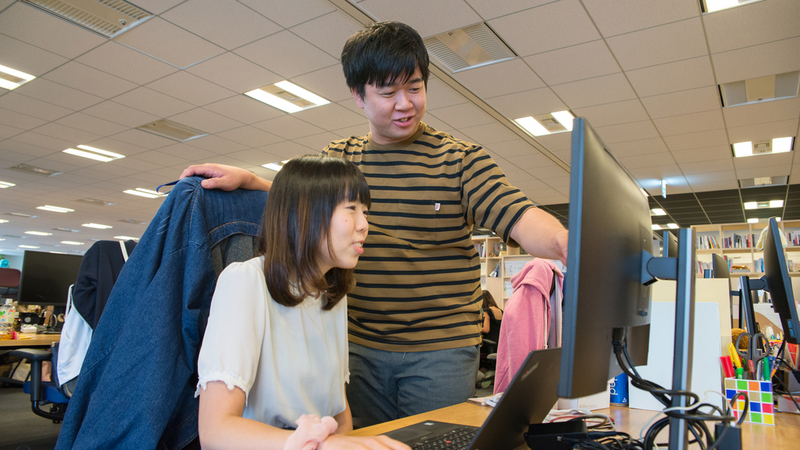 We also offer a support system called Mergrads to help new graduates joining from within Japan work more professionally and with a broader perspective. We have a number of other systems in the works to help global members hit the ground running when they join Mercari. In this post I explained the Japanese language learning support system, but we also have support for English and Chinese too. Through these systems, we hope to work with each and every employee to help Mercari go global. If you’d like to be involved, check out the job postings below! 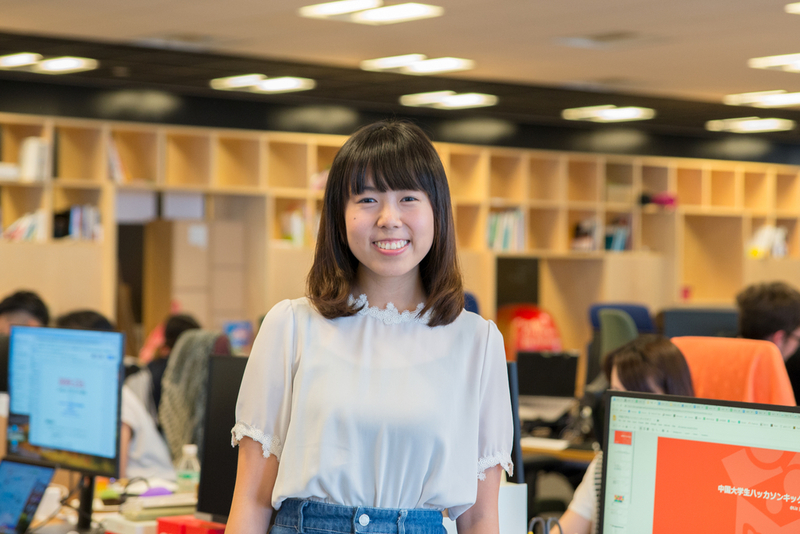 Member of People Partners at Mercari, Inc. After graduating from the Department of Psychology at the Chinese University of Hong Kong, she entered Toshiba Corporation as a global hire and worked in the procurement division. In April 2016, she joined Toray Industries, Inc., where she was responsible for international student recruitment in the global HR group. In December 2017, she joined Mercari, where she works in global talent acquisition. She co-founded the Diversity & Inclusion Team in August 2018.